BBO will send goods out by first class post at a charge of £1.50 + VAT wherever possible. Some items are just too heavy and bulky to be sent by post and this is highlighted at the top of each product range. 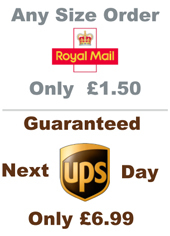 Delivery timescales are as per the Royal Mail guidelines which can be found on www.royailmail.com. We can also offer a NEXT DAY SERVICE at just £6.99 + VAT for all orders placed before the advertised cut off time or for orders that are not suitable for posting. The deadline for Next Day Delivery is 5pm, which means orders placed after 5pm will be dispatched the next day. If Next Day Delivery is selected on a Friday after 5pm, your order will be despatched on the Monday. We can also dispatch on a Friday for Saturday morning delivery but that is charged extra. Please note that some products may have different delivery deadline times which will be stated. In the very unlikely event that you have been sent parts incorrectly by the BBO team, we will refund in full, including postage/carriage. For goods ordered incorrectly BBO will NOT refund the cost of any postage or carriage and in some cases may apply a handling charge. We ask all customers not to send any goods back until the handling charge has been agreed. Our standard handling charge is just 20% and we will not accept back any parts that have been fitted/used. 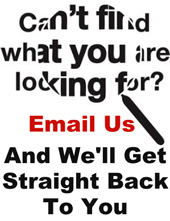 All returns should be clearly marked and sent to the Woking address. There are no cancellation charges for orders that are in stock and cancelled the same day as ordering. The vast majority of orders are sent out immediately.